Open since February 2016 Acklam Hall, the only Grade 1 listed building in Middlesbrough is now a beautiful venue for weddings, fine dining, prestigious serviced office accommodation and conference facilities. A new beginning for a building with a long and interesting history. 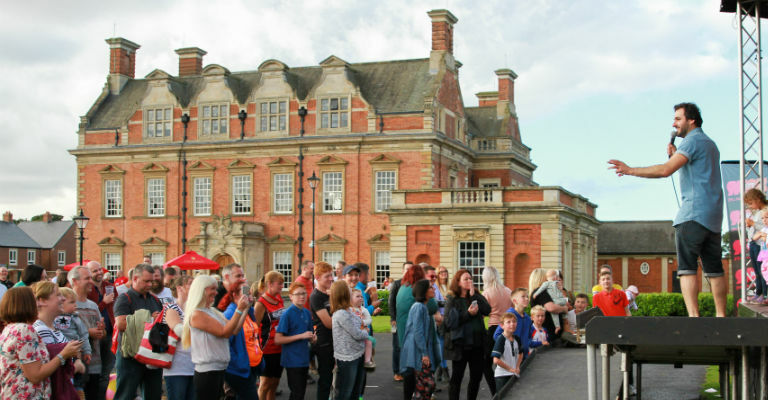 For almost two hundred years Acklam Hall was the home of the Hustler family, and since 1935 has, in various guises, been a place of learning fondly remembered by the people of Middlesbrough. The Hall retains many of the original architectural features created when the Hall was built in the late seventeenth century as well as features added just over 100 years ago by one of the finest architects of the early twentieth century, Walter Brierley. A place known as ‘Acklam Hall’ is mentioned in the Domesday survey of 1086, which recorded the Acklam estate – the name ‘Acklam’ is derived from Anglo-Saxon and means “place of oaks” – as being in the possession of Robert de Brus. In the early 17th century, when Acklam Hall was owned by Sir Francis Boynton, its long association with the Hustler family began. William Hustler, a cloth merchant from Bridlington, wanted a country estate close to the River Tees, from where he could trade. Initially he rented Acklam Hall, but in 1637 William Hustler bought the whole estate – which comprised the whole of the Acklam township as well as parts of Ayresome, Middlesbrough and Linthorpe – from the Boynton family. Between 1680 and 1683 William Hustler’s grandson, also called William Hustler, and later knighted by Charles II, built Acklam Hall as a two-storey building, in the contemporary fashionable style, showing some Dutch influence. from Philadelphia in the USA and who was closely involved in the early development of Middlesbrough – ‘the infant Hercules’ as Gladstone famously described it – carried out significant alterations in 1845. The Hall as we see it now owes much to the alterations carried out by the wonderfully-named William Hustler Hustler just prior to the First World War – modifications intended to make the Hall more suitable for an Edwardian family and household. However, less than ten years later, the Hustlers departed the Hall and it was subsequently purchased by Middlesbrough Corporation at auction, and the Hall began a new life as a seat of learning. Middlesbrough Corporation converted Acklam Hall to become a school, and in September 1935 Acklam Hall School opened to boys. Over subsequent decades the Hall was extended and developed to accommodate changing educational needs. In 1958 the remaining ornamental gardens were removed and extensions were built for Acklam Hall Grammar School. In September 1967 Acklam Hall Grammar School merged with Kirby Girls’ Grammar School to form the co-educational Acklam High School. Between 1968 and 1971 two modern annexes were added, to the front and to either side of the Acklam Hall building– the Main School Block and the Sixth Form Block. In 1974 Acklam High School split to form Kings Manor School. The Main School Block was subsequently destroyed by fire and Kings Manor School moved to share a site with Hall Garth School. In more recent times the Hall has been a sixth-form college and part of Middlesbrough College, until the latter vacated the site in 2008 to move to new purpose-built premises. Now, following restoration and development, Acklam Hall enters a new chapter in its long history.